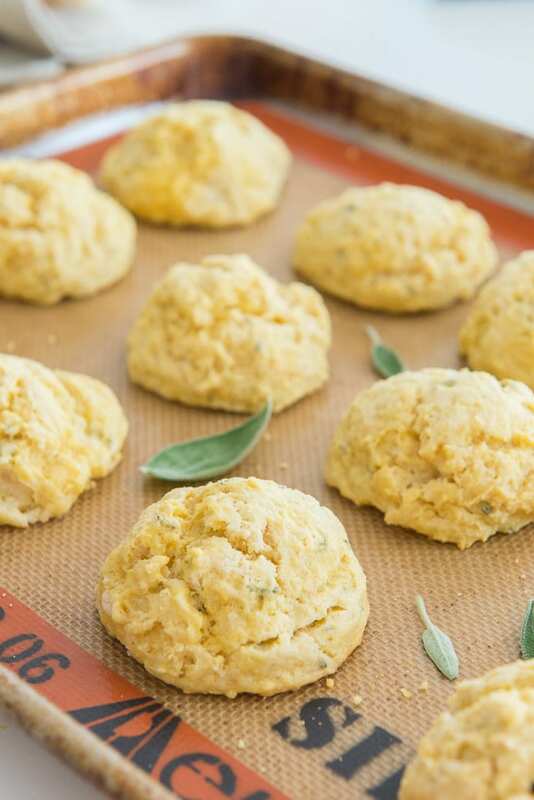 These Pumpkin Sage Drop Biscuits are flavored with fresh pumpkin puree, nutmeg, cinnamon, fresh sage, and buttermilk. They’re fluffy and soft out of the oven, and also very easy to make. How is your Thanksgiving menu planning going? I haven’t begun planning yet, though truthfully I know what I’m going to make. Little tweaks may be made, but the staples are the same year after year. 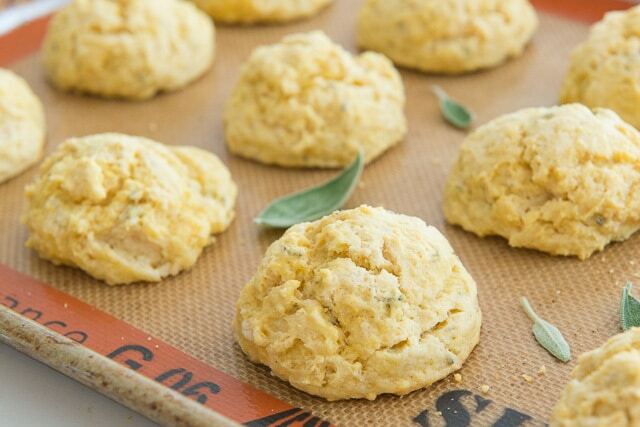 One thing I must have on my Thanksgiving table is BISCUITS! Because gravy with rolls? Nope. Has to be a biscuit. And this year it will be these right here. This recipe is from a wonderful cookbook called The Gourmet Kitchen, written by my dear friend Jen. These are the types of flavor combinations Jen comes up with. When I finally got a copy of Jen’s book in my hands, I knew I had to make these biscuits straight away. 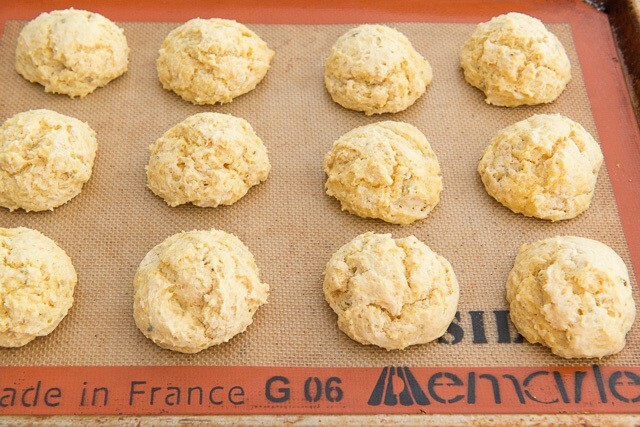 Drop biscuits are always so easy to make, and quick too. Let me show you how! Bake for 15 minutes, then enjoy! Jen says in her headnote, “These drop biscuits make a fantastic fall side dish if you’re serving soup or a stew. They’re hot and buttery right out of the oven, but you can really taste the pumpkin and sage flavors after they’ve cooled for a while.” To which I say, yes! 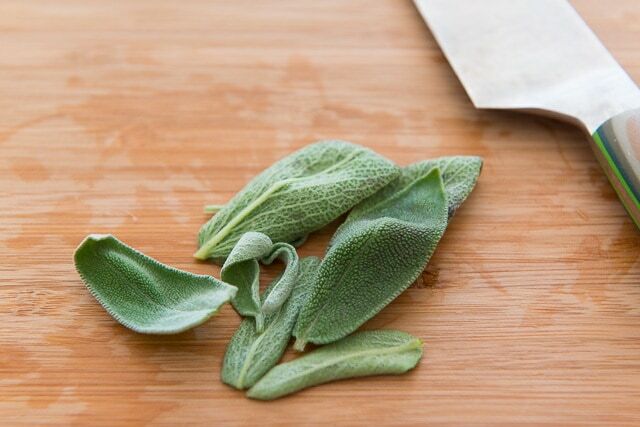 The flavors are there but aren’t too strong, which is good because sometimes sage can get intense. 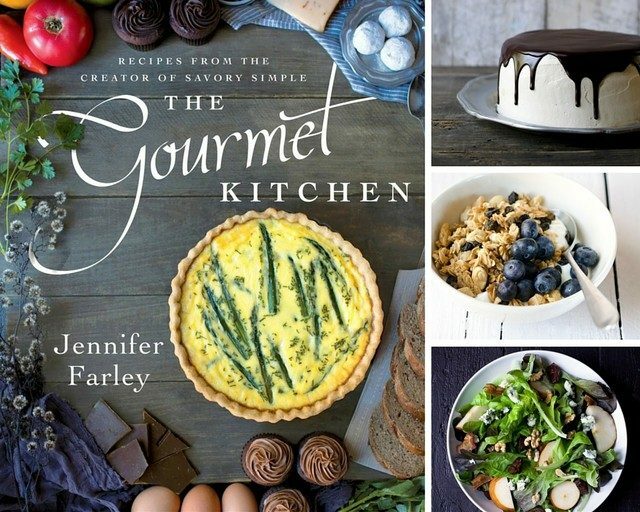 You can pick up a copy of The Gourmet Kitchen on Amazon and visit Jen’s blog for more recipes. Happy baking! 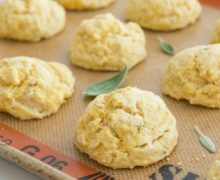 These Pumpkin Sage Drop Biscuits are flavored with fresh pumpkin puree, nutmeg, cinnamon, fresh sage, and buttermilk. They’re fluffy and soft out of the oven, and they are also very easy to make. 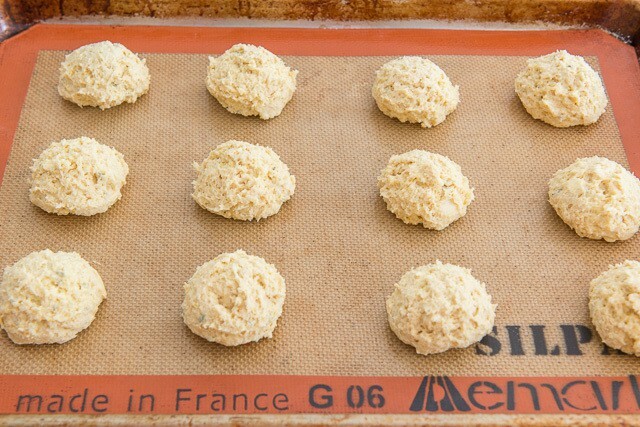 Preheat the oven to 400F and line one large or two small baking sheets with parchment paper. 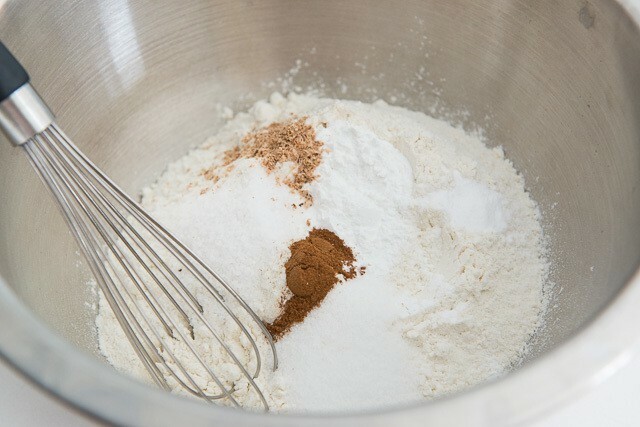 In a large bowl, whisk the flour, baking powder, baking soda, sugar, salt, cinnamon, nutmeg, and sage. 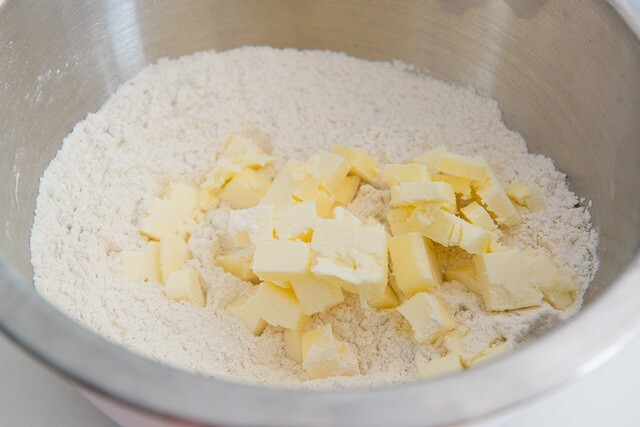 Add the butter and use your fingers to work it into the dry ingredients until it resembles coarse cornmeal with a few scattered larger pieces of butter. 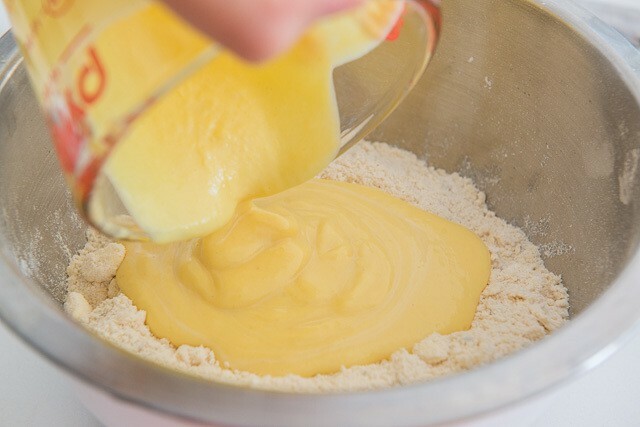 In a separate bowl, whisk the pumpkin puree and buttermilk. 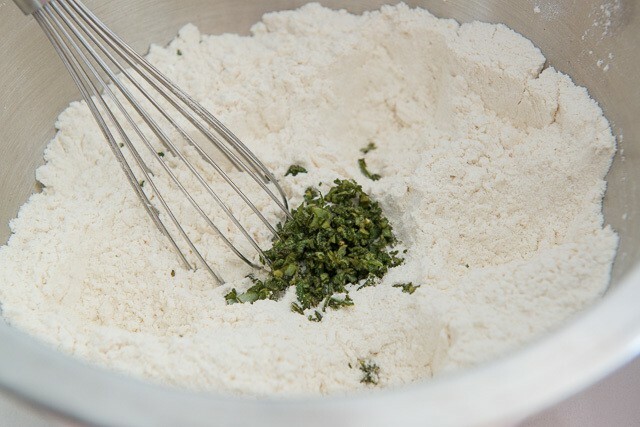 Pour into the dry ingredients, and use a spatula to fold together until just combined (less mixing equals softer biscuits). 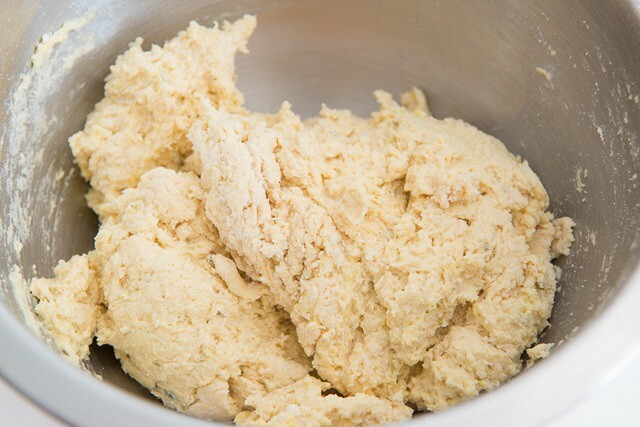 Use an 1/8 cup (2 tbsp) cookie scoop to portion the biscuits onto the baking sheet; place at least 2 inches apart. 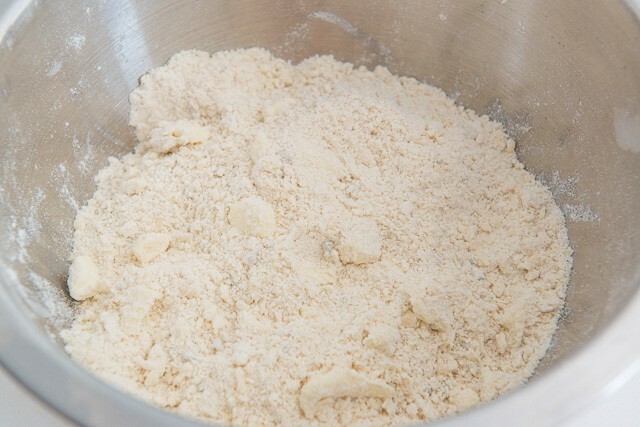 Bake for 15 to 17 minutes, until crisp on the outside and tender in the middle. I love, love Blitz Kuchen cake. It’s a German favorite! Make it for my Mother’s Birthday! Her side of the family is German and Swiss. 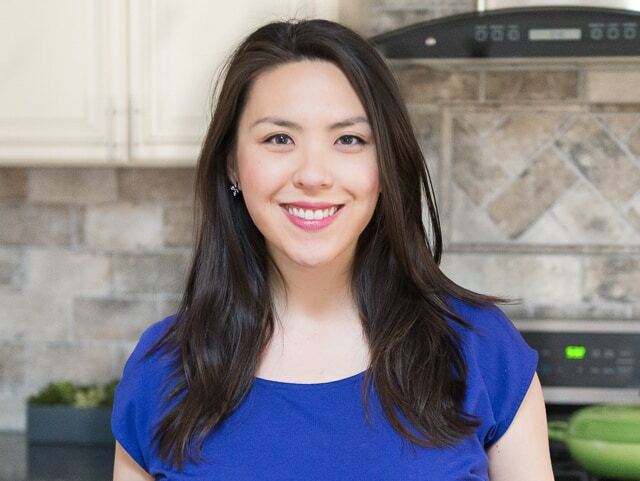 I would love to add recipes from your cookbook, The Gourmet Kitchen, to my kitchen!